In a first for the school, a basketball team at The Grammar School at Leeds (GSAL) has won a title in the sport. Just before the Easter holidays, the GSAL U16 team took on two other schools in the finals of the Leeds championships, hosted at Leeds Beckett University. To reach the finals, GSAL had come through the city’s northeast round, taking on six other schools from the area. In the city final, GSAL faced tough matches against Horsforth School and Corpus Christi Catholic College. 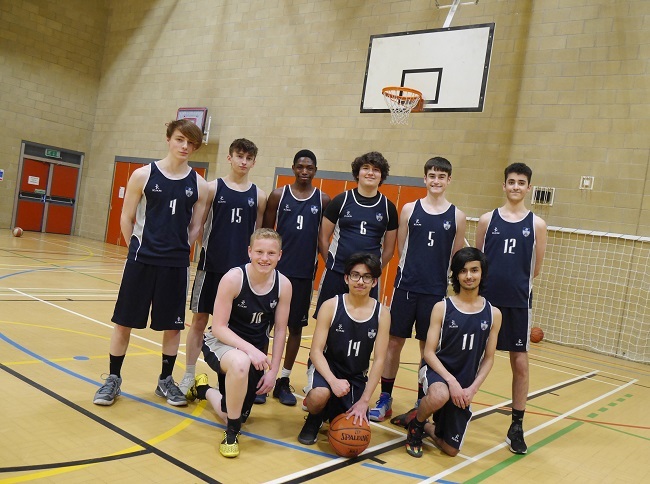 The final was tight and could have gone either way, however GSAL held on for the win and emerged with a first trophy for GSAL basketball players – the Leeds U16 championship. There was an additional accolade for Thomas Wighton Y10, who was named the ‘most valuable player’ in the competition. Basketball has become increasingly competitive at GSAL in the last five years or so, under the guidance of coach Voise Winters, whose professional playing career of 17 years took him from the US National Basketball Association (NBA) to a number of European teams. Participation in school has grown from just one team to three, in the U14, U16 and U18 age groups, and includes girls and boys. There are plans for a schools league in the city next year and Voise is keen for the teams to take part.